Technically Speaking: Is A Year-End Rally Still Possible? Rising interest rates provide an alternative to stocks and reduce the value of long-dated assets. Higher inflation (input costs) will pressure corporate margins and profitability. A pivot in global monetary policy towards constraint from easing. Fiscal policy that has trickled up (not trickling down). Our Administration’s trade policy and (as expressed in my missives this week) reversing the post-WWII liberal order holds multiple social and economic risks. Increasingly leveraged public and private sectors. A leveraged and dangerously weak European banking system who’s left-hand side of the balance sheet is loaded with overvalued assets (like sovereign debt). Submerging emerging markets vulnerable to large U.S. dollar-denominated debt that will be difficult to pay off. China’s economy is faltering – and its financial system is too leveraged. 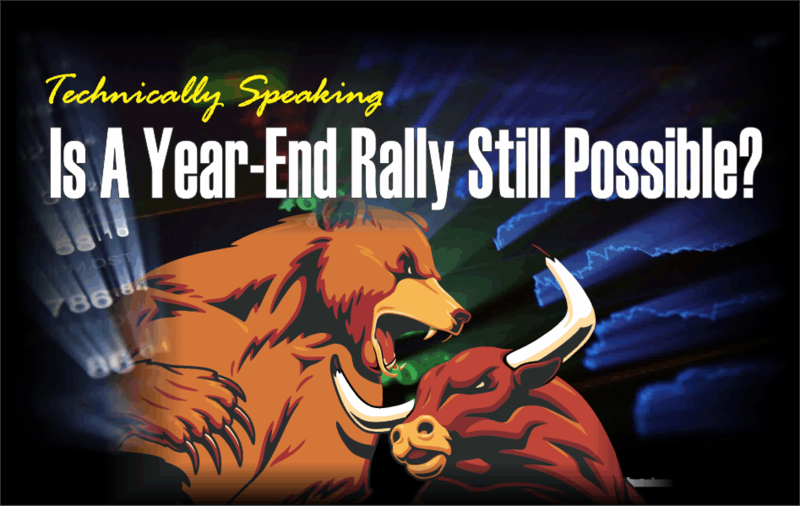 Investor complacency – not a soul in the business media (save the Perma Bears) has warned of a large market markdown since the January highs. Of course, the sell-off last week was simply more evidence of the influence of “algos gone wild” when technical levels are broken and the robots all hit the “sell” button at the same time. It was also further acknowledgment of the lack of liquidity due to the surge in ETF issuance which has now created a massive amount of overlap risk in the markets. “Nevertheless, the seismic shift into indexing has come with some unexpected consequences, including price distortion. This isn’t just the second largest bubble of the past four decades. E-commerce is also vastly overrepresented in equity indices, meaning extraordinary amounts of money are flowing into a very small number of stocks relative to the broader market. Apple alone is featured in almost 210 indices, according to Vincent Deluard, macro-strategist at INTL FCStone.